Dr. David B Sable, MD is a Doctor primarily located in Tampa, FL. He has 23 years of experience. His specialties include Dermatology. He speaks English. Dr. Sable has received 5 awards. The overall average patient rating of Dr. David B Sable is Excellent. Dr. David B Sable has been rated by 73 patients. From those 73 patients 14 of those left a comment along with their rating. The overall rating for Dr. David B Sable is 4.6 of 5.0 stars. I just want to say thank you to dr. David Sable. He is the best dermatologist. I saw and am seeing him for basil skin cancer on right side of my face, which he performed MOHS surgery on. From what I have seen he is a really good and caring Doctor, stands behind his work, for the most part that is rare. I am seriously considering making Dr. Sable my permanent Dermatologist. Dr and his nursing staff are wonderful. Pharmacy and Insurance co. have both complained that the office staff does not return their calls even regarding pressing issues. I was able to quickly set an appointment with Dr. David Sable. I selected him at the Academic Alliance in Dermatology because of his outstanding credentials and superior reviews. Dr. Sable was very thorough and spent a lot of time answering all the questions I had. He performed 3 biopsies, and when two showed signs of dysplasia, he performed surgical excision on one and removed the suspicious area on the second. He is an excellent physician and displayed tremendous care and patience to help me through the process. My husband and I have been with Dr. Sable for several years. He was last with a large dermatology concern and in Port Richey. I am now trying to locate him. 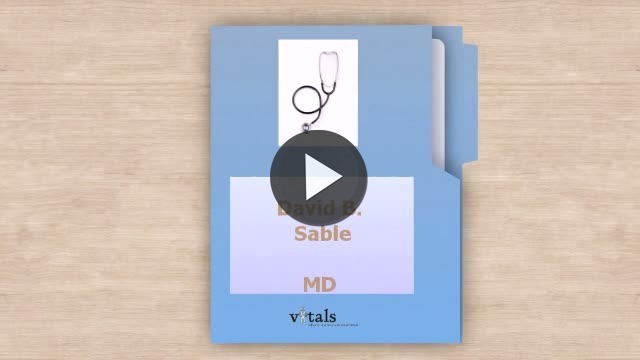 Take a minute to learn about Dr. David B Sable, MD - Dermatology in Tampa, FL, in this video. Dr. David B Sable is similar to the following 4 Doctors near Tampa, FL. Have you had a recent visit with Dr. David B Sable? Select a star to let us know how it was.